15 festive events that will provide some cheer before the New Year. 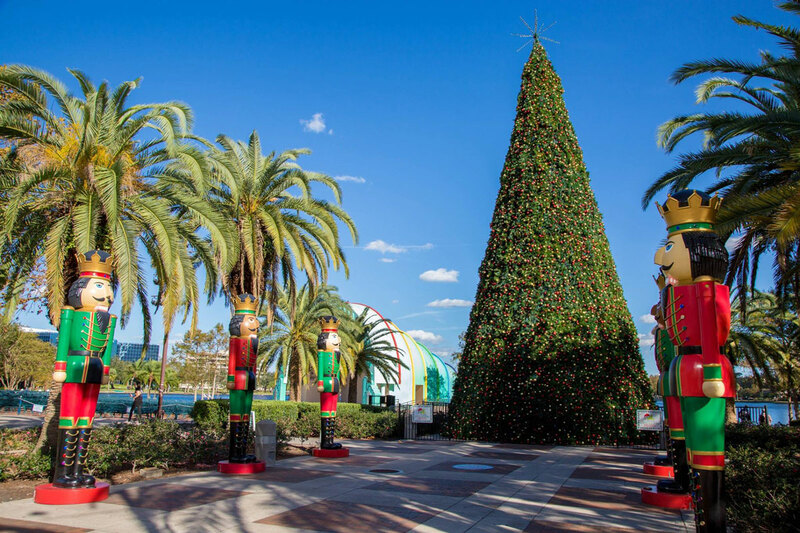 The holiday season is already in full swing, and no matter what kind of merriment you’re looking for, odds are Central Florida has it — yes, even snow. 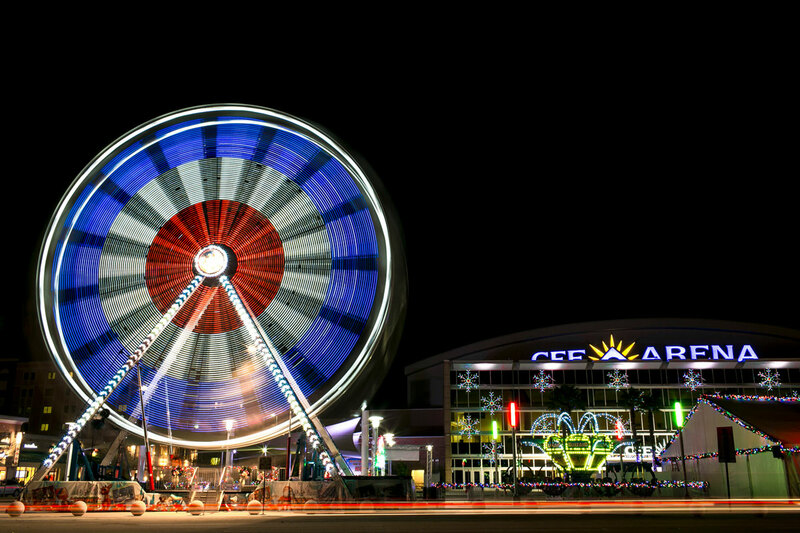 While Orlando’s theme parks get an A+ for their effort in going all out for the holidays, we rounded up 15 other events that deserve a shoutout, too. If you’re a UCF student, faculty or staff member who is planning to visit the parks, you would be wise to stop at the SGA Ticket Center at the Student Union before you go to score a discount on your park admission ticket. 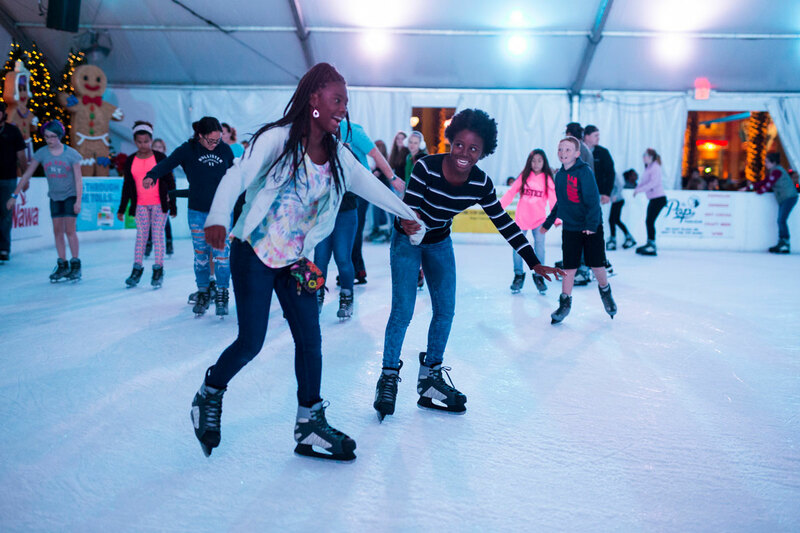 Now in its 11th year on UCF’s campus, Light Up UCF provides the perfect setting for holiday cheer, featuring outdoor films, an outdoor skating rink, rides and free nightly light shows. 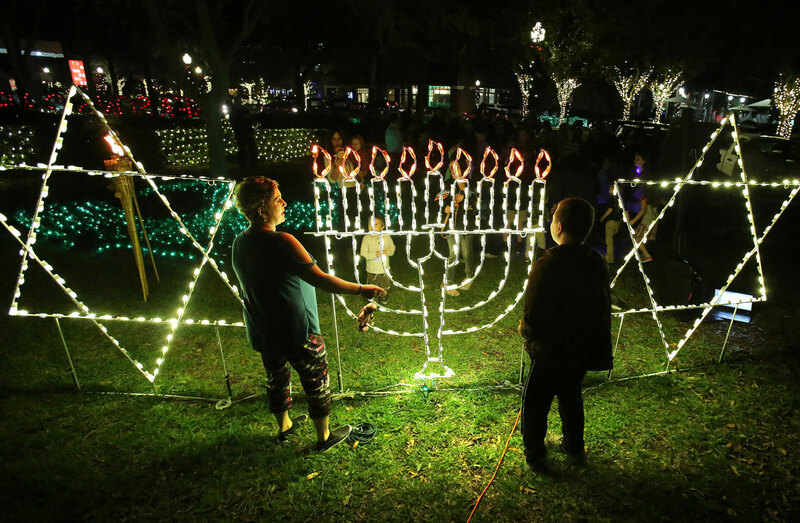 This year, Light Up UCF will also host two holiday markets on Dec. 15 and 21 from 6–10 p.m.
Get a taste of Disney at the holidays without having to pay theme park admission prices. 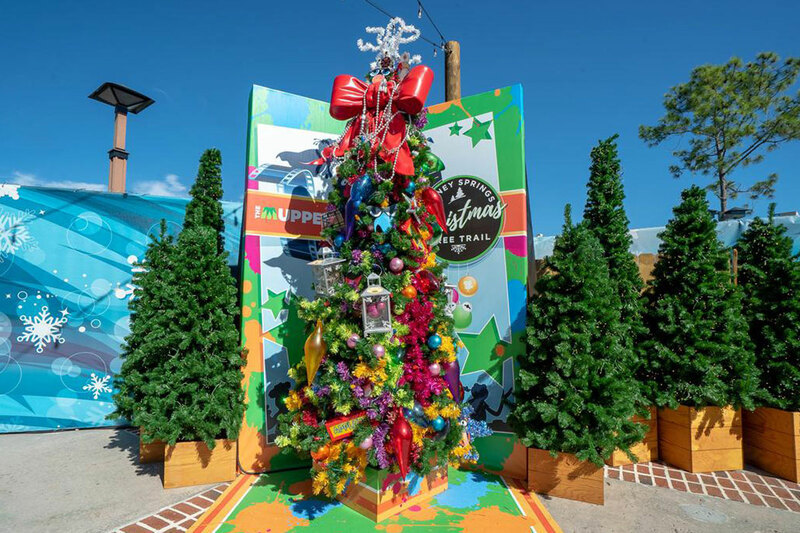 This Christmas tree trail features 27 holiday trees each inspired by a Disney character or theme — and they’re all equally picture perfect for an Instagram selfie. Plus, while you’re at Disney Springs, you can check out the shops, restaurants and musical performances. 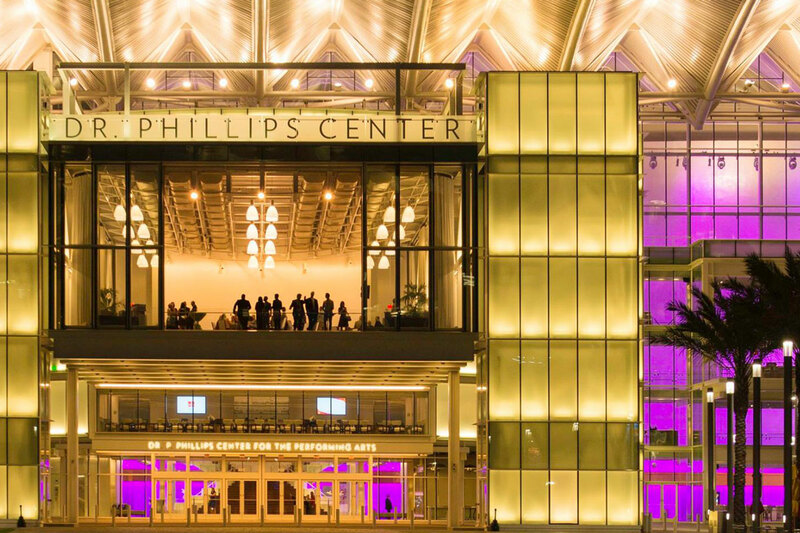 For the first time since opening in 2014, the Dr. Phillips Center for the Performing Arts has curated four weeks of holiday-themed fare. In addition to 30 holiday performances ranging from hit Broadway musicals to concerts to a variety show, the center is also adding some seasonal cheer to its offerings. A peppermint-infused specialty cocktail and adult versions of hot chocolate will be available for purchase for those 21 and older. 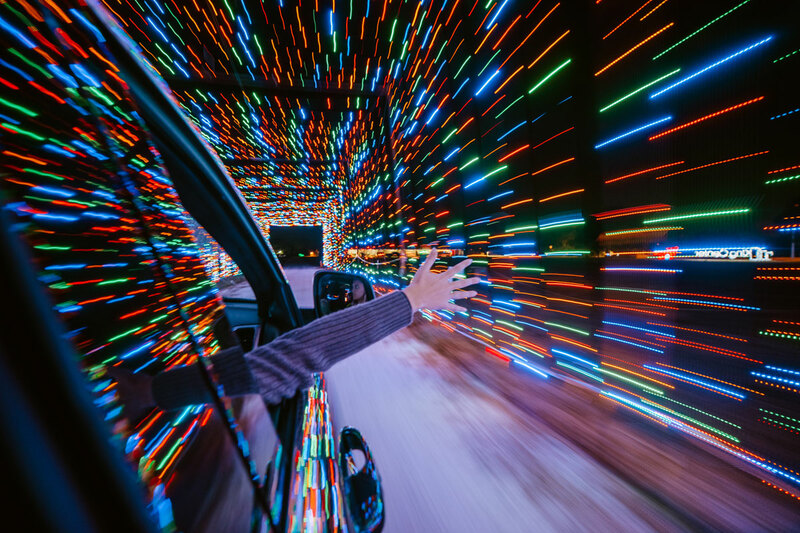 This holiday themed, 1-mile car ride features 3 million twinkling lights and draws more than 15,000 vehicles annually. Time: 6:30 p.m. until 10 p.m. This annual display at Gaylord Palms Resort features more than two million pounds of hand-carved ice sculptures, and this year’s theme is based on the 1983 film A Christmas Story. In order to keep the ice from melting, the resort keeps the room temperature at 9 degrees, but don’t worry, all guests are provided calf-length, hooded winter coats to keep them warm. 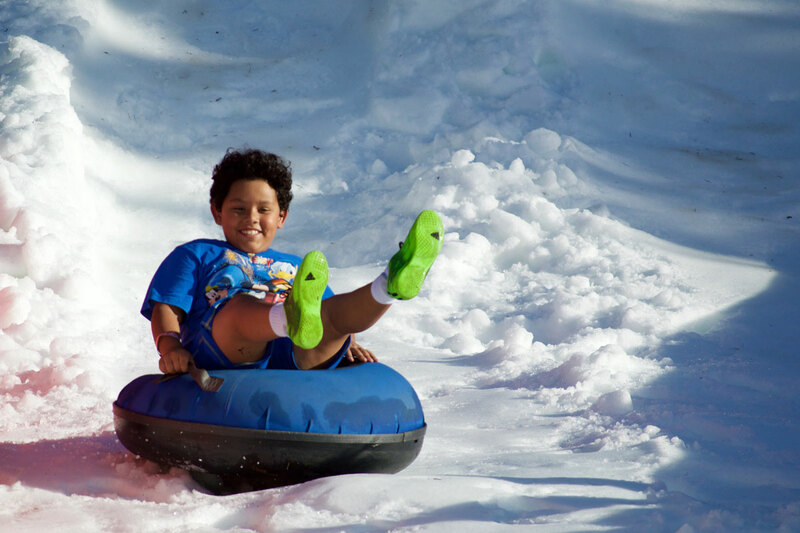 The resort also offers opportunities for snow tubing, gingerbread decorating and even a Jack Frost-themed escape room. 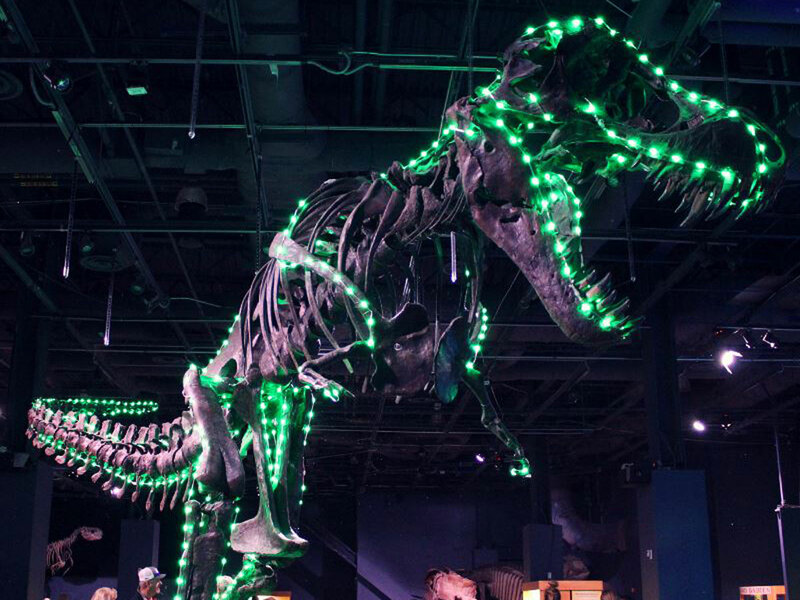 Time: 10 a.m. until 8:30 p.m.
A light show involving dinosaur fossils? Sign us up. In addition to the Dinos in Lights show, the Science Center has cooked up special winter-themed activities such as gingerbread engineering workshops and holiday experiments. Time: Shows begin every 30 minutes between 11 a.m. and 3:30 p.m. This section of Edgewater drive will be shut down to vehicular traffic and transformed into a winter wonderland. All shops, restaurants and businesses will be open to help you get a jump start on holiday shopping. 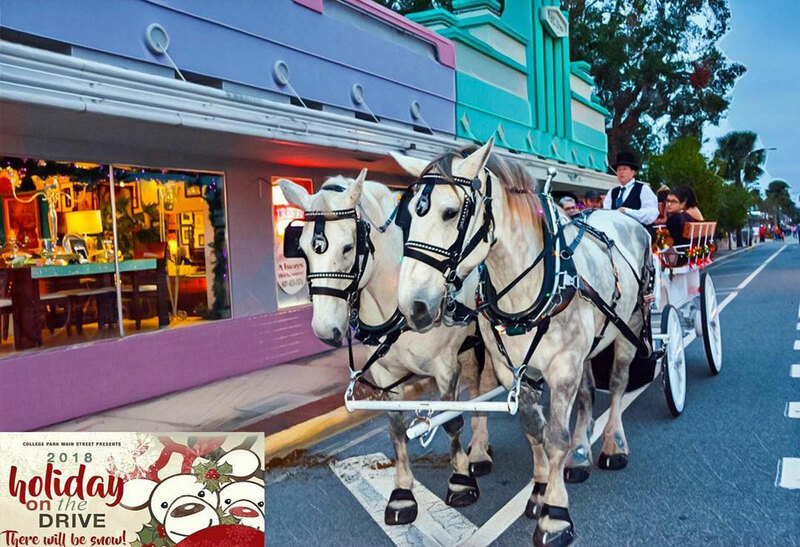 Time: 5 p.m. until 9 p.m.
A free parade along Oviedo Boulevard kicks off this annual event, which features 70 tons of white snow just begging for a sled ride. 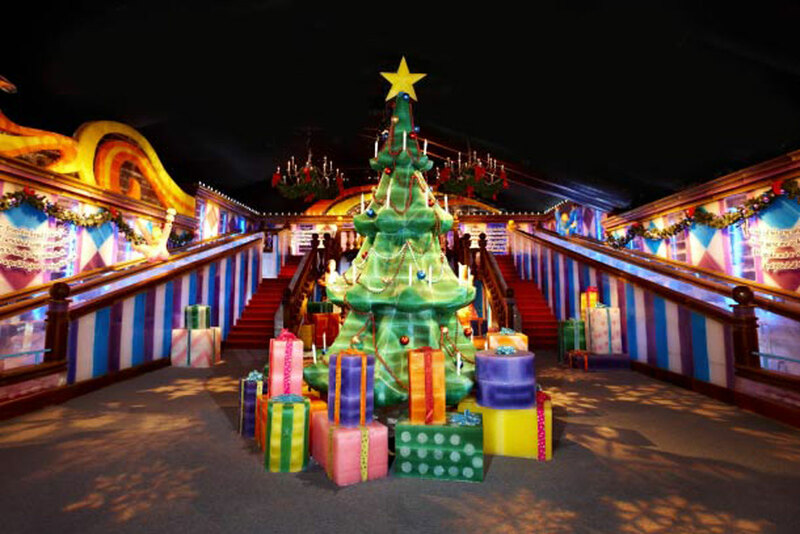 There’s also a 30-foot snowman bounce house, a 31-foot slide, holiday train, swan boats and more. And for those 21 and older, candy cane martinis will be available for purchase. Time: 2 p.m. until 8 p.m.
Price: Presale tickets are $20. Tickets on site are $25. 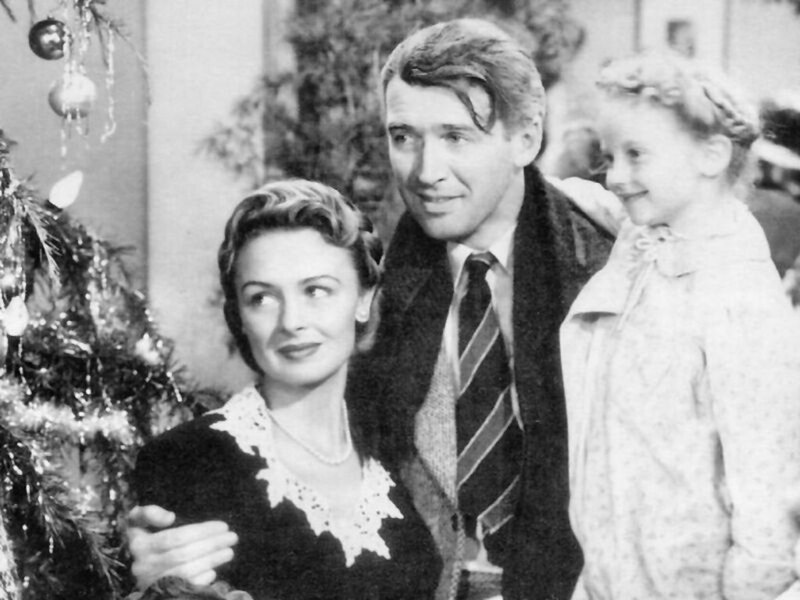 Is it really the holidays if you don’t watch the 1946 classic film It’s A Wonderful Life? Amazon Prime members can stream this at home, but if you want the full experience, some local theaters are showing it on the big screen. 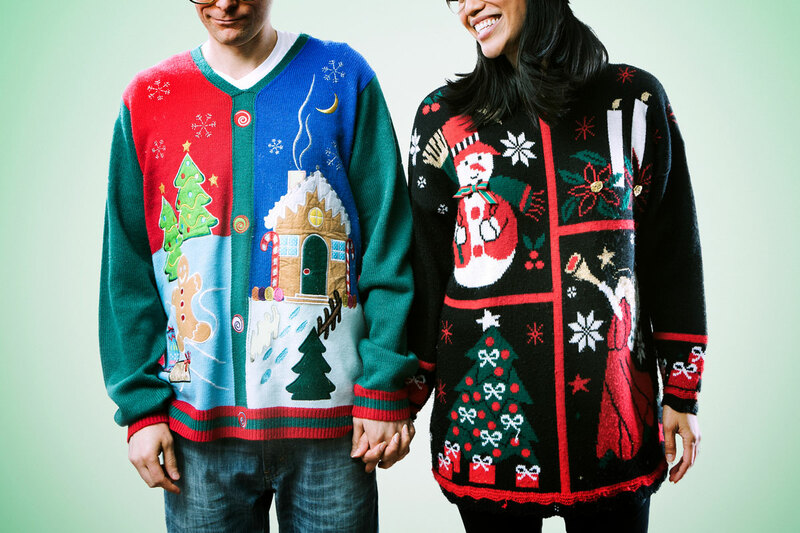 Ugly sweaters are encouraged at the Wacky, Tacky Holiday Party. This event will take you back to 1980s Orlando with a screening of Ernest Saves Christmas, which was filmed almost entirely in The City Beautiful at the then-unfinished Disney’s Hollywood Studios. Show up in your favorite tacky sweater or holiday pajamas to enjoy the movie, a trivia contest, holiday crafts and refreshments. Time: 1 p.m. until 4 p.m. 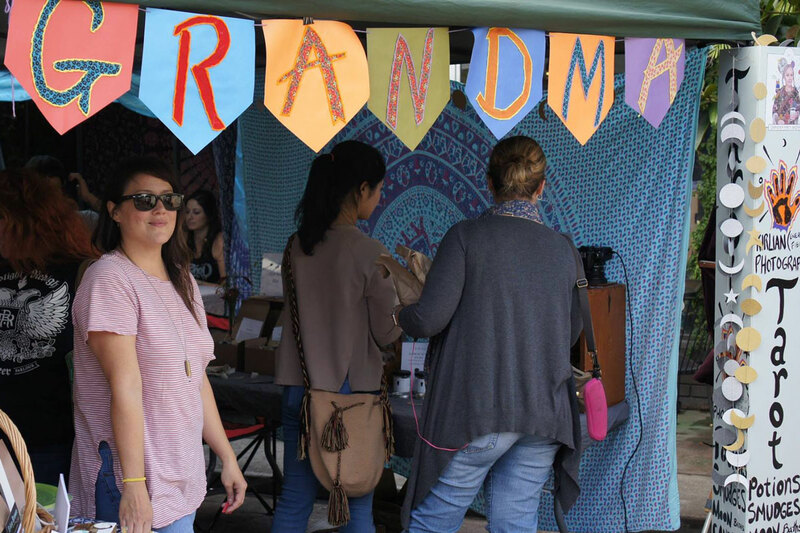 If you enjoy the weird and eclectic, then the 16th annual Grandma Party Bazaar is for you. The event will feature vendors, interactive booths and live bands. Cirque Musica Holiday presents Wonderland is a fun-filled and high-flying concert experience for the entire family. 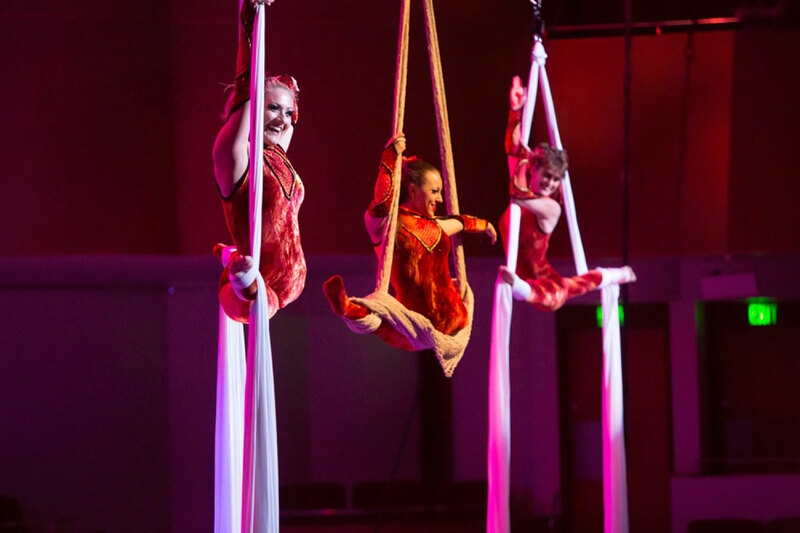 The show blends the athleticism and grace of circus performers with a full sensory showcase of a live symphony orchestra performing all-time favorite holiday classics. Every week during the holiday season, a free movie will be played at Lake Eola Park. Check the Lake Eola Park Facebook page for updated information about the event, including cancellations. While you’re there, make sure you time it right to watch the Eola Wonderland Christmas Tree’s synchronized light and music show on its 72-foot tree, which runs daily at 5:45 p.m., 6:45 p.m., 7:45 p.m., 8:45 p.m. and 9:45 p.m. 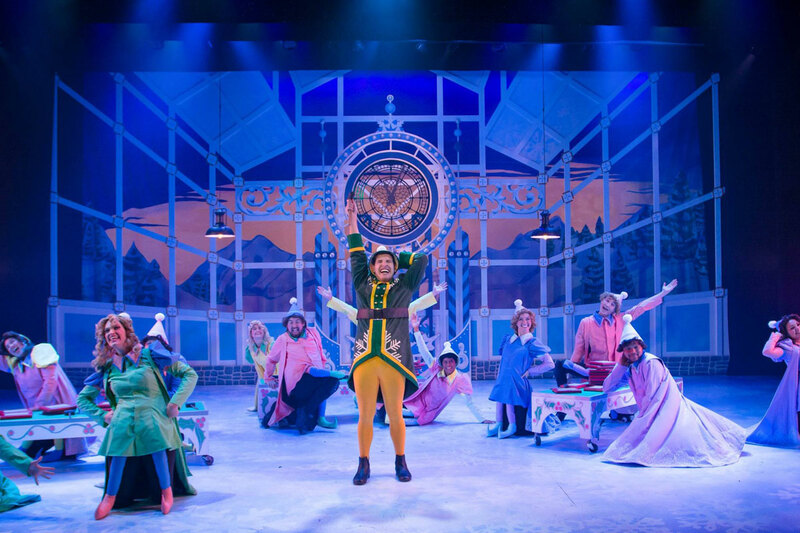 The modern holiday classic film featuring Will Ferrell as Buddy the Elf is now a musical, and you won’t be able to resist its charm. Hurry, tickets are going fast. Time: 1:30 p.m. or 6 p.m.